Tipping elements are components of the climate that may pass a critical threshold, or “tipping point,” after which a tiny change can completely alter the state of the system. Moving past tipping points may incite catastrophes ranging from widespread drought to overwhelming sea level rise. 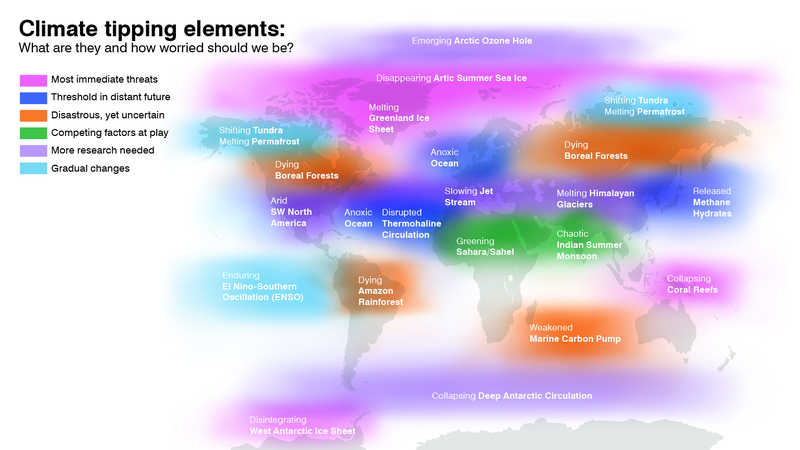 Would you recommend Everything you need to know about climate tipping points to a friend? Your Review on Everything you need to know about climate tipping points has been successfully submitted.